Combining sleek vinyl boards with a custom embedded steel frame to create a distinct, elegant finish. Get an Instant Fence Estimate, Easy to Use! 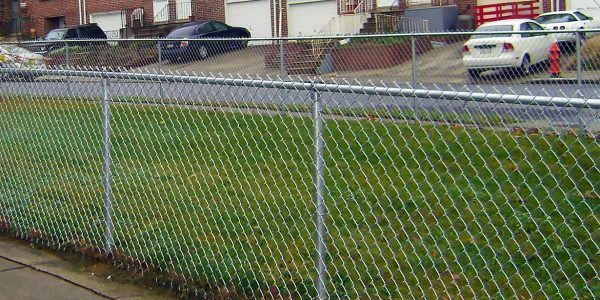 Finding a trustworthy and heavily experienced fence company in Philadelphia can sometimes be a difficult task for a consumer. Northeast Fence and Iron Works can alleviate all concern by providing customers with the highest quality fencing products, accompanied with the most knowledgeable fence installation crews in the industry. For both commercial and residential markets, NF&I is the leading fence contractor to guarantee customer satisfaction matched with the most competitive pricing. In an industry that increasingly trends toward lower-quality, less durable and foreign-made products, a fence contractor and iron working company has a choice to make – follow the race to the bottom themselves, or serve their clients in a way that truly sets them apart. For over 44 years, Northeast Fence and Iron Works has thrived on the idea that there is no substitute for high quality, efficiently producing American-made products backed by unparalleled service. 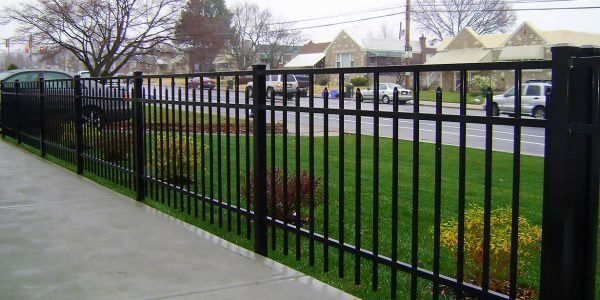 As trusted Philadelphia fence contractors and metal fabricators for organizations like: the Philadelphia Eagles and Phillies, Coca Cola, City of Philadelphia, SEPTA, and UPS, NF&I boasts a proven track record of delivering flawlessly designed and expertly installed fencing for a diverse range of clients in Philadelphia, New Jersey, and Delaware. 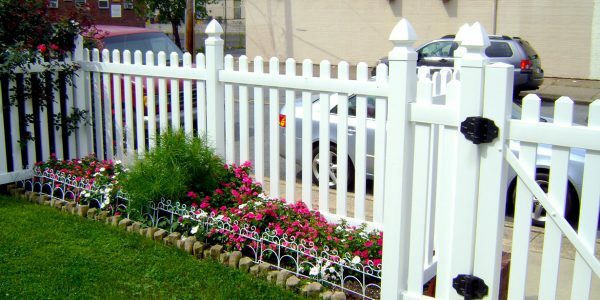 By maintaining a commitment to the highest quality fencing materials and fence installation services, partnered with a dedication to providing world-class customer service, Northeast Fence and Iron Works has been able to maintain its reputation as one of the most reliable and widespread fence companies and fence installation experts in the Northeast. Northeast Fence and Iron Works serves a diverse spectrum of clients and customers with a wide range of needs. In anticipation of such, NF&I ensures that they consistently maintain full capability of completing even the most intricate fencing projects. Additionally, NF&I specializes in all fencing styles such as ornamental iron fence, aluminum fence, wood fence, vinyl fencing / pvc fencing, and chain link fence. As fence contractors we sell an array of fence products and are prepared for all types of fence installation services. 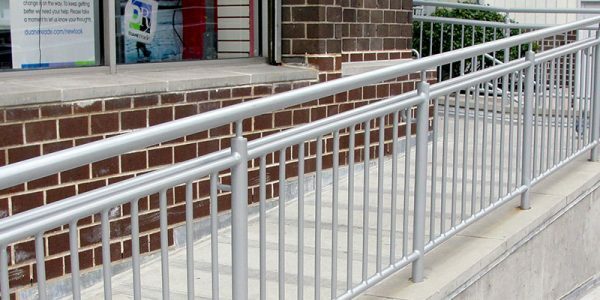 What makes Northeast Fence and Iron Works so diverse is our ability to fabricate custom gates for both commercial and residential customers, railings for outdoor applications, and an endless list of specialty products based on your unique needs including stairs, platforms, ladders, window guards and much more. At NF&I, we are highly experienced fence contractors that are much more capable than a typical fence company. Delivery available throughout PA, NJ, DE, and beyond. But our dedication to excellence extends beyond our quality products and advanced production methods. We take the time to develop an understanding of your needs and goals and don’t consider our job complete until you are completely satisfied with our work. Effective customer service is every bit as important as quality products, and we strive to make each of our clients and customers feel taken care of and listened to throughout each project. The scope of our work transcends well beyond fence installation and the Philadelphia area. Our fence installation crews are seasoned professionals that will install your fence with care and precision in Philadelphia, New Jersey, Delaware, and beyond. 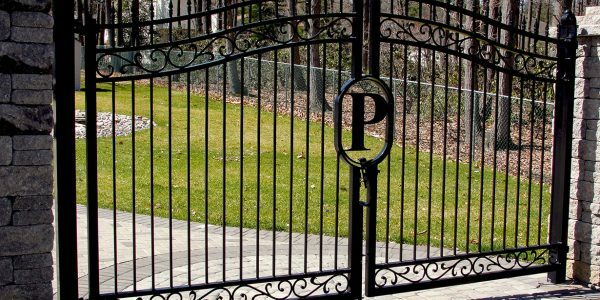 Our installation crews can also install gates, railings, and many more products, including custom products with the same care and quality workmanship. 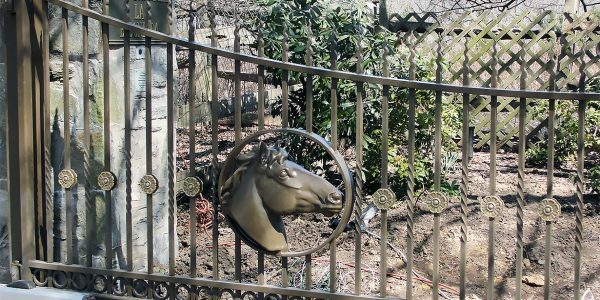 If you have either a large-scale or small-scale project, don’t hesitate to contact Northeast Fence & Iron Works to get the job done right. No other fence company has the proven track record, respected client list, and dedication to American-made quality materials to ensure that you get the absolute best. We take that extra step to provide a premium service at affordable pricing! Don’t wait another minute – call or email us today to receive a FREE QUOTE from Northeast fence and Iron Works, your trusted Philadelphia fence contractors and fence installation experts.
! Please make sure to browse our website and check out our image gallery which showcases our work or click on over to the NF&I blog for the latest company and industry news. 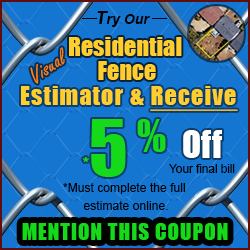 If you need a fence estimate, please call us or try our “Resdential Visual Fence Estimator” for an instant estimate. Westmoreland ornamental steel fence has been used in the fence industry for over 40 years. Westmoreland established itself as a leader in ornamental steel fencing by using a unique finishing process to preserve the beauty and durability of its product, and we will continue that tradition with the Westmoreland II line. Please visit the Westmoreland 2 website for more information. 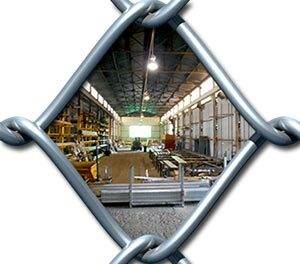 Westmoreland II Has the highest standard to meet all commercial & industrial fencing needs. All sections and gates are fully assembled in the U.S.A. Contact NF&I for more information about our Westmoreland II line. Our Lifetime Vinyl offers one of the most complete lines of fence components in the market today. With strength and durability and virtually no maintenance, our fences will withstand the test of time. Ornamental Iron is manufactured from steel galvanized inside and out, or from extruded aluminum. 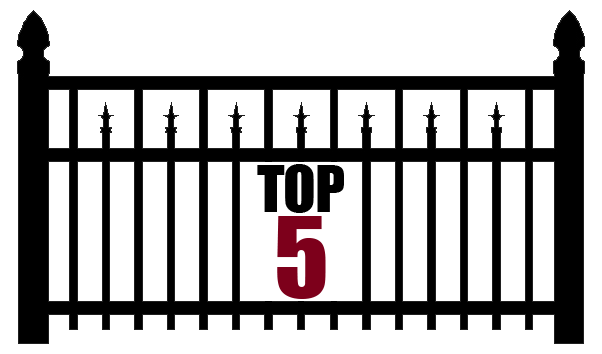 Ornamental Iron is designed to provide years of maintenance-free operation. 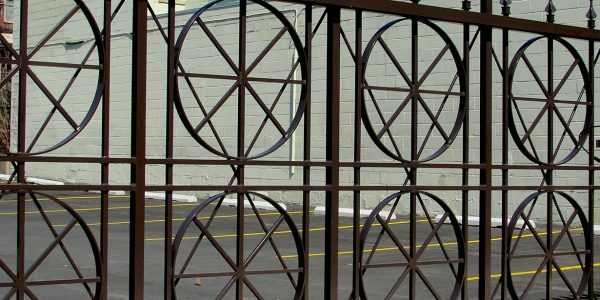 Our Iron Gates are manufactured for residential, commercial and industrial applications. Designs for pedestrian walk gates, driveway gates, or cantilever slide gates are available for accessing your property. Known for its strength and durability, chain-link is perhaps the most economical type of fencing available. Northeast Fence lets you choose from a wide range of weights [or gauges] and coatings. Attractive, versatile and creative a wood fence system can be an excellent choice. You can expect years of protection, privacy and value. The sheer beauty of wood is the primary reason to select it as your fencing material. A traditional looking fence that adds graceful aesthetics to your home in addition to a strong protective presence. In addition to being easy to install, aluminum fences also tend to be very simple to repair. We are not limited to your "run of the mill" products. We are capable of producing many different types of custom items in steel and aluminum. Please contact us for more details. Ready to Get Your Project Started? 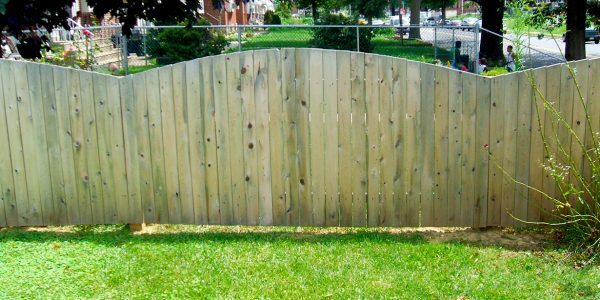 – Call Northeast Fence & Iron Works, Inc Today at (215) 335-1681.